Sandy Hook Shooting Was Staged by the Government-Unproven! - Truth or Fiction? Sandy Hook Shooting Was Staged by the Government-Unproven! 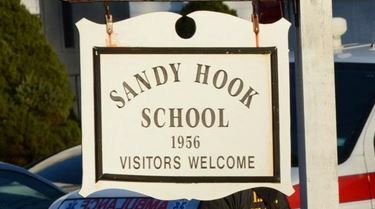 Blog posts and articles circling the Web allege that the federal government staged the December 2012 attack on Sandy Hook Elementary School to shore up support for new gun control laws. Many of the theories surrounding the Sandy Hook Elementary School shooting are based on personal opinions that cannot be definitively proven true or false — so this eRumor remains unproven. An official review of state and local law enforcement agencies’ response to the shooting, however, contradicts the claim that there were irregularities in the police response to the situation. A Connecticut Police Chiefs Association report found that officers made entry to the building less than nine minutes after the first emergency call was received at 9:35 a.m. The shooter committed suicide within two minutes of officers arriving. State and local police continued to search the building and quickly triaged any victims they discovered. A Newtown Officer found a critically injured child, since EMS had not been cleared to approach the building; the officer scooped up the child and sprinted toward the EMS staging area. This is recorded by in-car video at 09:56:16 hours. Soon after, officers and troopers found other children and adults in the immediate vicinity of the suspect and led them out of the building. In-car video shows the wounded and trapped being shuttled out of the building from 09:58:39 hours on. This continued until the building was emptied. That report states that New Town, Conn., police officers correctly prioritized neutralizing the shooter before providing clearance for emergency response efforts to proceed. No information is available regarding what time the first media broadcast went live from the scene, so it’s impossible to determine what phase of the response television viewers first witnessed. Media outlets traditionally do not broadcast live footage from active crime scenes that involve shooters because it could allow the perpetrator to gain a tactical advantage over officers who are responding, or expose viewers to gruesome images of victims. The claim that New Hampshire Gov. Dan Malloy said he had been spoken to about how “something like this may happen” on Dec. 12, 2012, is true, according to a video of the press conference. The claim that Robbie Parker, the father of 6-year-old Sandy Hook Elementary School victim Emily Parker, is an actor appears to be based on speculation, not credible evidence. usiness, and you felt that there is… I would say you knew … It probably was not even a feeling. It was like, you know, set in stone in your head. Where’s the plan? I don’t see the plan playing itself out. Right?